Who knew learning about money could be so much fun? Our family had an enjoyable visit to the Money Museum in Colorado Springs. After hearing that the museum was one of the premier destination in Colorado Springs, we knew we had to check it out. Some members of our family wondered if exploring different types of money would be interesting. However, as we left the museum (with a collection of coins and currency from around the world), the answer was obvious. The new question became: When can we go back to the museum and learn more (and collect more) money? 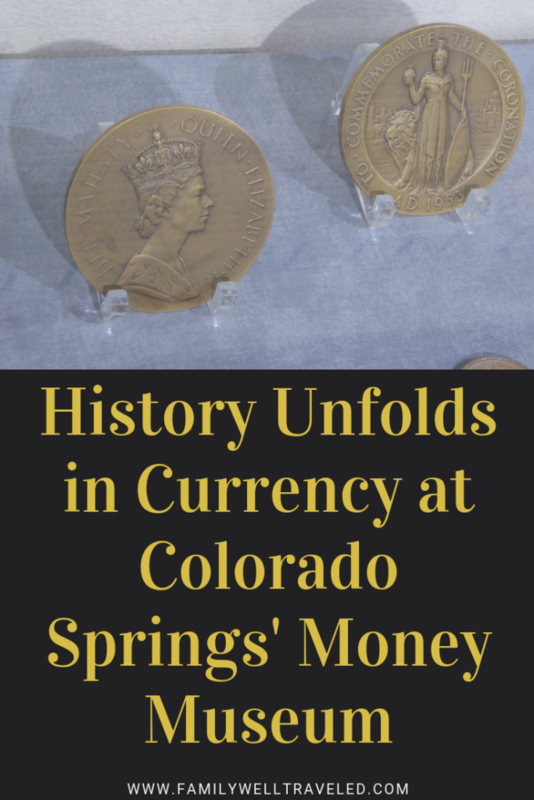 Here’s what you can expect during a visit to the hidden treasure (sorry, but you knew there had to be a pun) Money Museum in Colorado Springs. The symbol of the United States Mint on display. The newest exhibit at the Money Museum charts the course of British money from the reigns of Elizabeth I to Elizabeth II. Visitors get a comprehensive look at the British Empire’s worldwide expansion during these years. Unexpectedly, we learned that each colony of the empire had its own currency. So, each territory from Asia to the Caribbean Sea had its own special currency. We had no idea there were so many currencies in the British Empire. We enjoyed seeing the different bills from India, Nigeria, Jamaica, and other territories. Our family enjoyed viewing the videos at the Money of Empire. We took time to watch a few of the videos available at the touch of a screen. The videos showed us the emergence of African states as they declared their independence from the crown, the formation of the U.S. colonies, and the British Empire’s growth in Asia. Since a few of our family members are interested in history, the videos were entertaining and informative. A display of British currency from countries all over the globe. One of our favorite displays represented the reign of Elizabeth I. 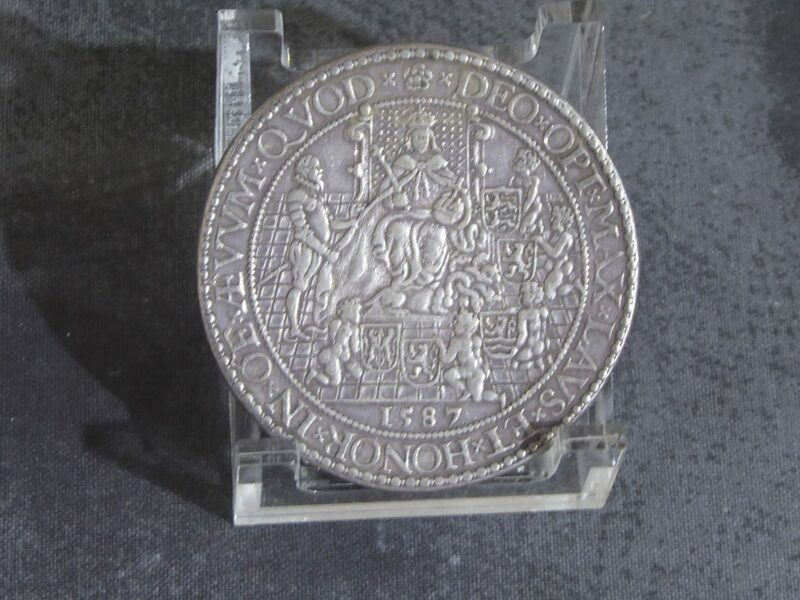 We enjoyed looking at the coins from the era, especially the coin dated 1587 displaying Elizabeth on her throne. Of course with all of the valuable coins and currency on display, the Money Museum has alarms on all display cases. During admission, you are advised of this fact and told to touch the displays cautiously. A good warning for those visiting with children. 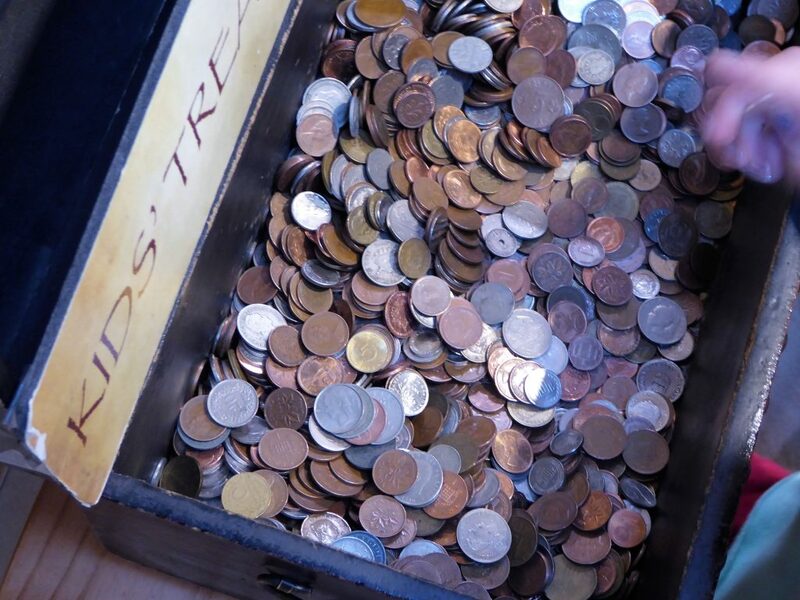 Did you know that some coins are so rare that there are only one to three in existence? We didn’t know this, but we learned this and many other things during our tour of the Henry W. Bass Jr. Gallery. This gallery is really fun to look at. 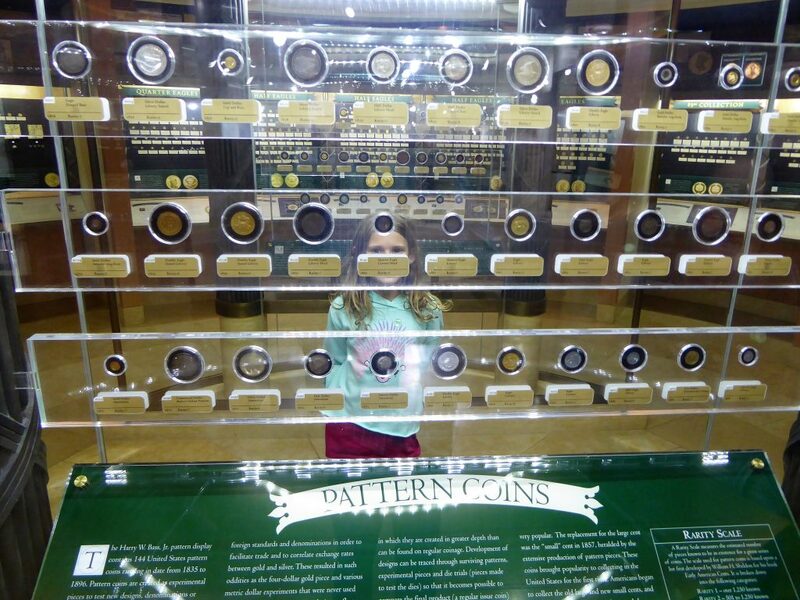 Plexiglass displays allow you to see the coins at eye level with a 360 degree view. 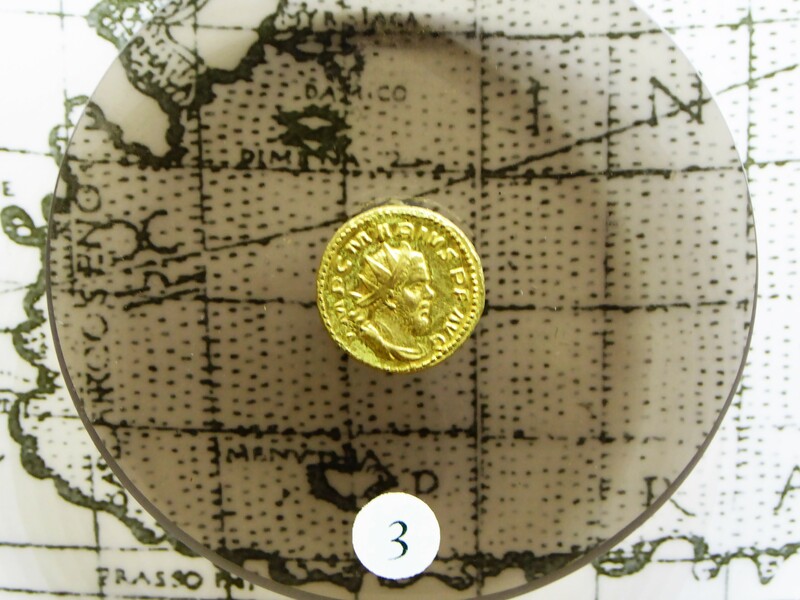 The displays show some of the rarest coins found in the world. A scale from one to eight lets the visitor see exactly how rare is each displayed coin. The display includes some of the rarest coins minted in the United States. We enjoyed reading through the displays and learning about the minting and distribution of money during the early years of the British colonies and the newly formed United States. 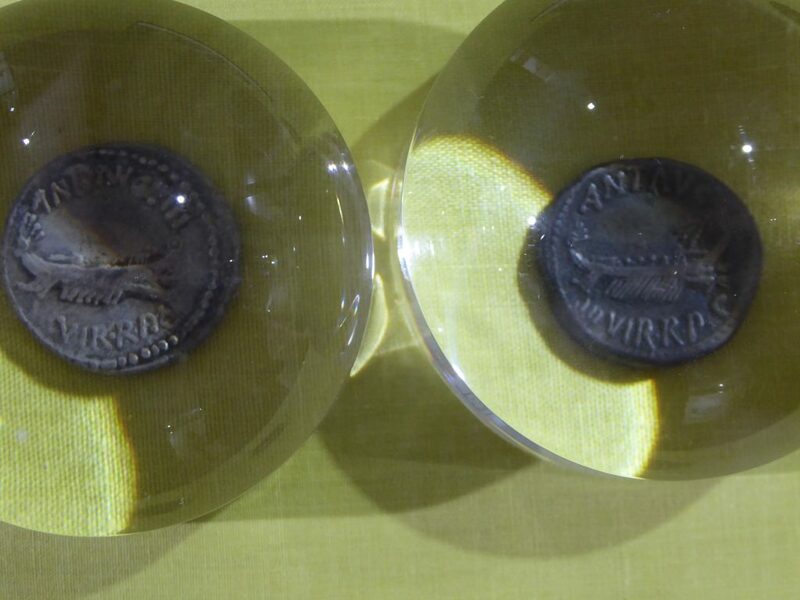 The display also includes coins from the Roman Empire. Admission to the museum is free on the third Saturday of the month. 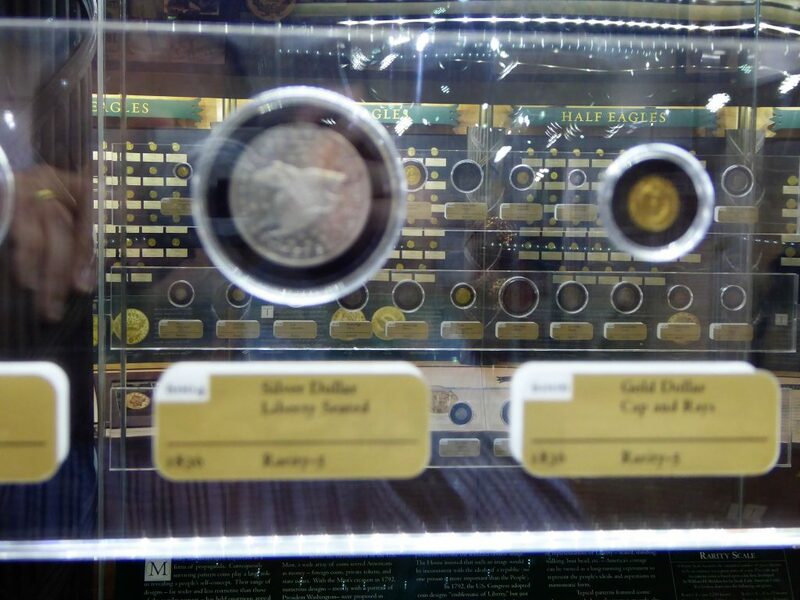 The gallery displays a rare collection of U.S. Three Dollar coins. It is the world’s largest collection of these coins, unheard of to us before our trip. 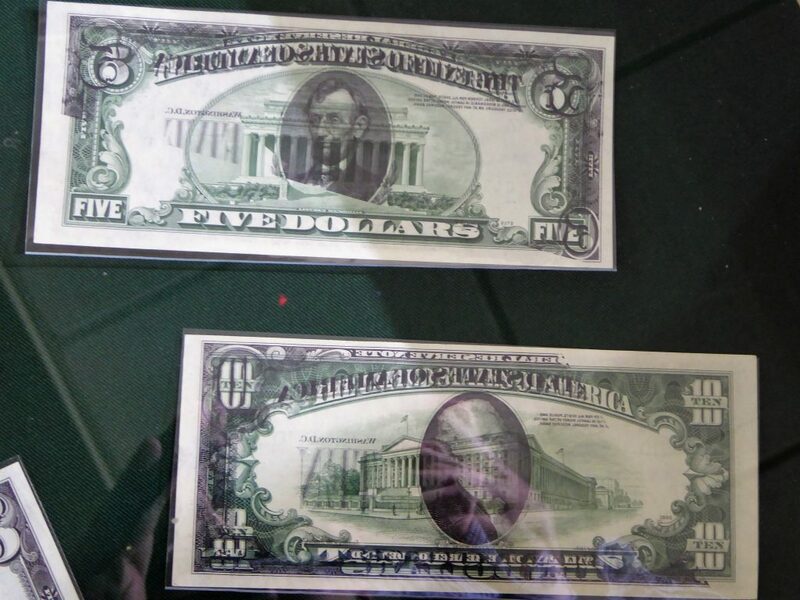 One of our favorite displays at the Money Museum was a fantastic look at misprinted money. We spent time carefully inspecting the bills on display for folds, bleeding ink and other examples of money foibles. It took us some time to figure out what was wrong with some bills. And we enjoyed the examples of currency misprinted with different denominations on each side. 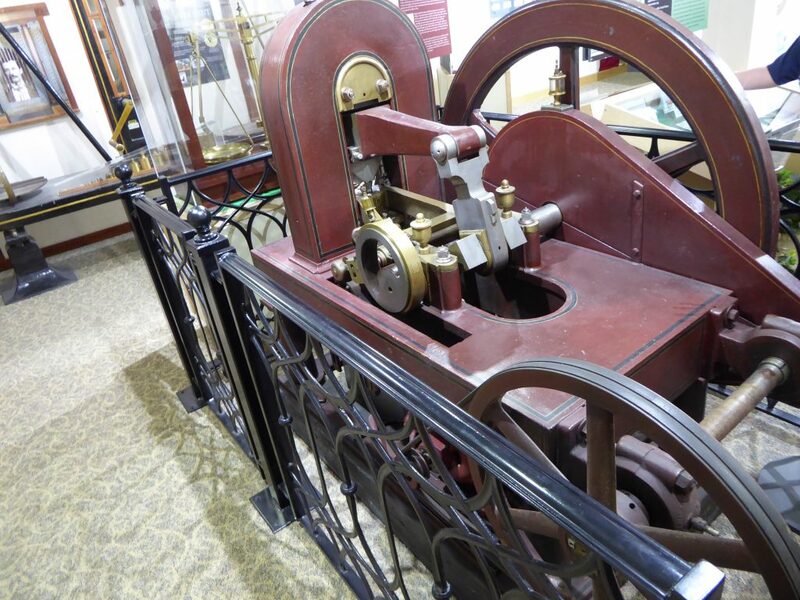 In addition to the displays of coins and currency, The Money Museum in Colorado Springs also displays machinery from the U.S. Mints, coin presses and an assortment of other heavy equipment. Since the Denver Mint is just down the road, it is no surprise that the Money Museum showcases some of the machines once used by the facility. It was fascinating to see how the machines have changed over the years with advancing technology. 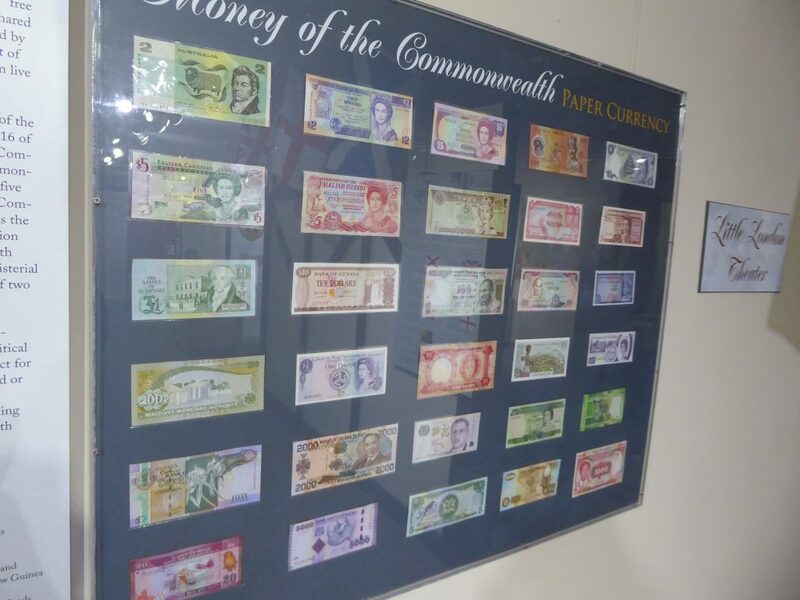 The History of Money display is on the lower level of the museum. While the downstairs gallery seems a little claustrophobic with the low ceilings, the plethora of coins and paper currency in the displays is phenomenal. The exhibit offers a tour of world history. You find displays featuring coins from the Islamic and Chinese Empires. 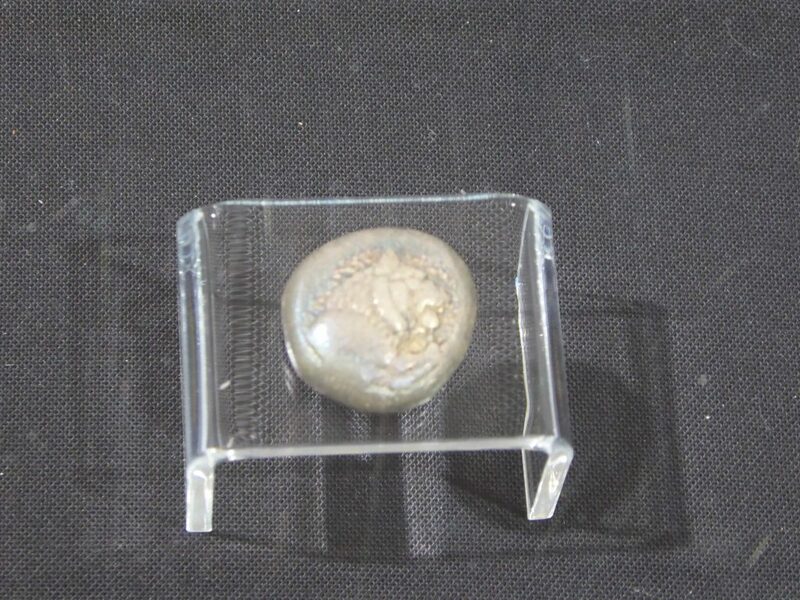 Lydian coins — which may be the earliest currency in the world — are displayed in all their illustrious glory. The Lydian coins were especially interesting due to their historical longevity and their diminutive size. One of the oldest coins from Lydia (modern day Turkey). We enjoyed looking at hobo coins. These coins were vandalized by hobos in the 1930s during the height of the Great Depression. Graffiti artists scribbled beards and wavy hair onto the coins and bills during those years, making the coins obsolete but fascinating to observe today. We also thoroughly enjoyed the display of counterfeit money. A number of pieces — counterfeit and legitimate — are displayed under a magnifying glass. Untrained eyes like ours could not see any obvious differences. We had to look carefully at the mounted placards before noting the slight font change of a letter “C,” for example, revealing the counterfeit. The authentic coin is on the left, the counterfeit on the right. We also received a sobering education on the role of money and inflation. 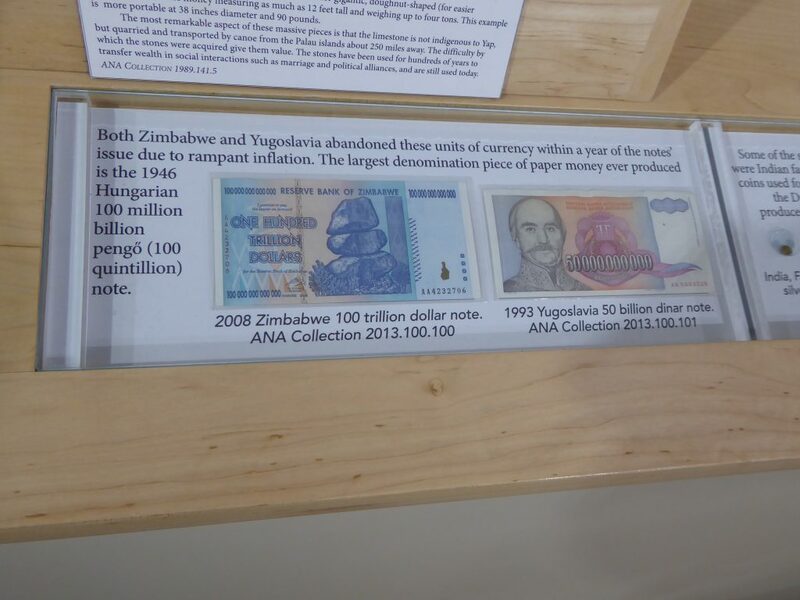 Two examples of currency from Zimbabwe and Yugoslavia are displayed. Each bill was in existence for a short period of time, as civil war or other political troubles made the high denomination bills obsolete in a short period of time. It was a reminder that money’s value is not set, and fluctuates dramatically based on a country’s political stability. 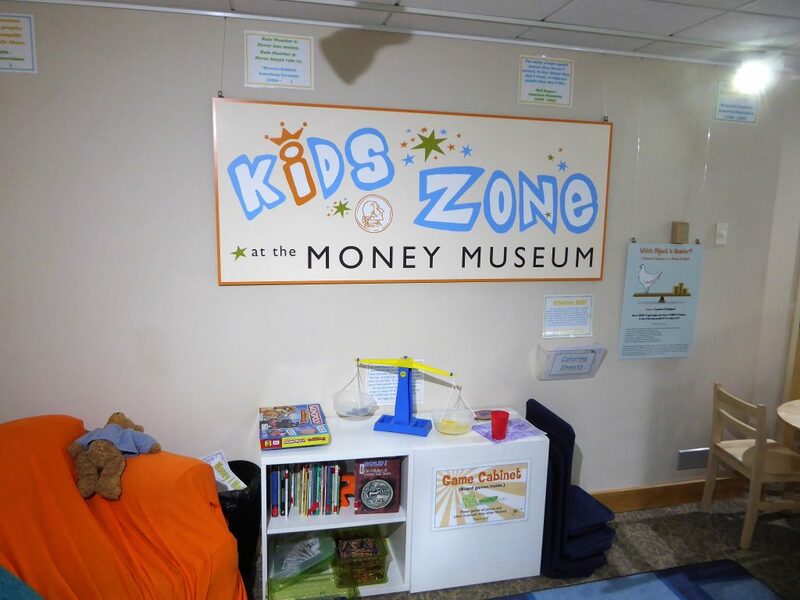 Located on the lower floor of the museum, the Kids Zone is a great spot for kids to get their wiggles out and learn some things about money, too. The Zone has a number of magnetic puzzles that kids can piece together. Also, they can learn about the history of money. Our daughter enjoyed playing with the scale, trying to figure out how she could balance the different money increments available. And, the juvenile artists in the group can color a printed coloring page. After our tour of the museum, the kids raced to the museum entrance to rifle through the treasure chest. Yes, every kid visiting the museum selects and takes home one of the coins in the treasure chest. After making their selection, our kids researched their coins to find the country of origin and added them to their new coin collections. What are your coins worth? Find out with the Official ANA Grading Standards for U.S. Coins. 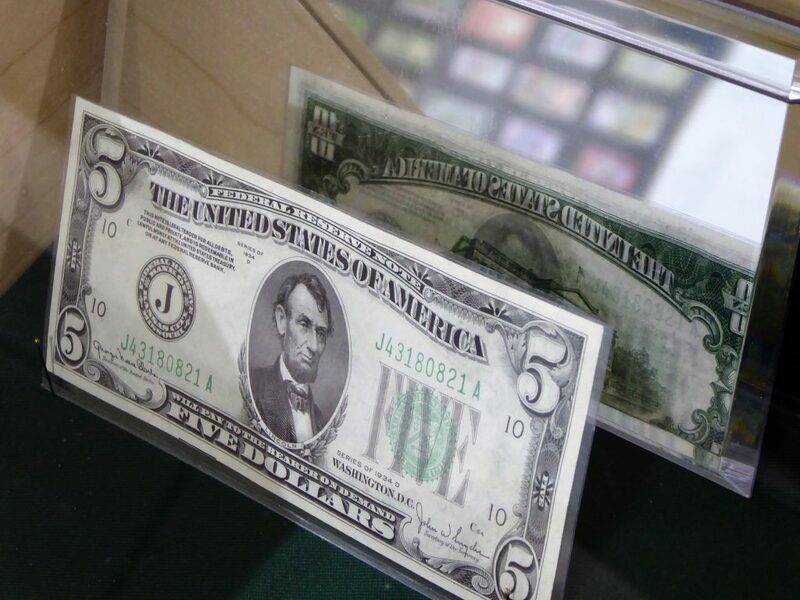 The Money Museum has a small gift shop, where you can find and purchase currency and coins. Our son wisely purchased a 10-pack of foreign currency. He couldn’t wait to open the package and scrutinize his paper currency. Included in his package were bills from now-defunct Biafra (a Nigerian breakaway region that catapulted the African country into civil war) and defunct Chinese bills from the 1930s and 40s – before the Communist Revolution. His favorite bill is an Afghani bill valued at 1000 Afghanis. We paid for our souvenirs and made sure that our treasure chest finds were put away for safe keeping. As we prepared to leave the museum, the attendant asked if our family likes jigsaw puzzles. Our daughter does, and said so. He then presented her with a free, 500-piece puzzle of a German Lute Player coin. It was an unexpected gift and a great end to our visit. We were thrilled to be the guests of the Money Museum. We are thankful to the Money Museum for the generosity. Although we received complimentary admission to the museum, all opinions are our honest thoughts. Starting a coin or currency collection? Consider these items. Check out our complete guide to Space Foundation Discovery Center in Colorado Springs. We toured the U.S. Olympic Training Center in Colorado Springs, and received the gold medal treatment. I don’t know that we need any more inspiration for travel, but I agree that the museum may inspire a desire for travel. We sure enjoyed our visit and we’re looking forward to a return trip sometime soon. I’m sure we haven’t exhausted all the things to see. I’d be in my element here! Especially at the ‘kids’ treasure chest.. we all know adults will be rummaging in that too 😉 I like to keep one piece of money from everywhere I travel so this is a museum right up my street. Thanks! Well, I let the kids do the rummaging, but, I must admit, I was tempted to rifle through the treasure chest too. What a great idea to keep a piece of money from each travel destination. I’m sure it brings back great memories. What a fun and education activity! I learned a ton simply reading your post. I had no idea $3 bills even existed. Thank you for sharing all that you learned! Thank you. There was indeed a lot to learn. And I know we’ll learn even more on a return visit. What an amazing museum. I would also be fascinated by misprinted and counterfeit money. And that hobo coin! Gotta have your say one way or another and then it lives on in a museum. Very cool. We could have looked at the counterfeit coins for hours. It was so helpful to have the placard showing how to identify the counterfeit. Money Museum, what a great concept!! In India, we do have a certain section of old coins in some museum but I am not aware of any museum specifically dedicated to money. I love seeing the old coins. Their shape, different type of carvings on them fascinates me. I would definitely visit the Money Museum when I visit Colorado. It’s worth a visit if you’re ever in Colorado. The Money Museum seems so interesting, and an entire museum dedicated to it is something that is so fascinating. it must have been quite an experience losing yourself in money. The growth and use of money across the world also provides insights into the culture and history of the times, and one gets to learn so much. The section dedicated to the history of money seems especially interesting. 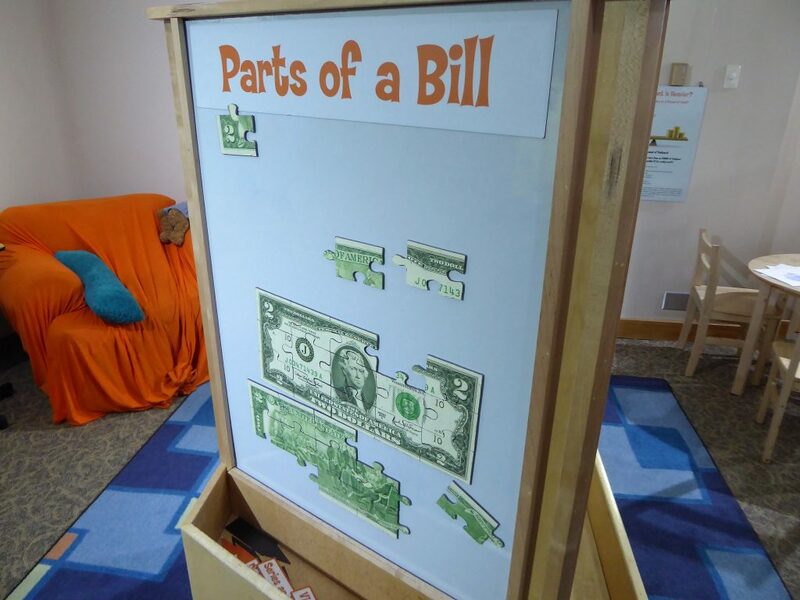 Nice to note that there is also a kids’ corner where they can learn all about money. We really want to go back and spend more time in the History of Money exhibit. It was fascinating. I bet my little ones would love the misprinted money. Not just because it’s interesting, but sometimes it’s nice to know that people can make BIG mistakes and it’s all ok down the road. That’s a wonderful lesson. We’ll have to mention that to our kids. I’m glad to read about this money museum we have a family there my hubby brother live in there and it’s top of our bucket lists. I’m planning to have a one month road trip next year I’ll check if we can make it there next year. Thanks for sharing! We love collecting money every country we visited and have a special box for it. I really dream to have the same type a glass something where we can put all the money we collected and display at our house. Money Museum sounds so interesting! Would love to see money from all around the world. Would love to see the misprinted money as well. This looks so interesting. I love this type of Museum. 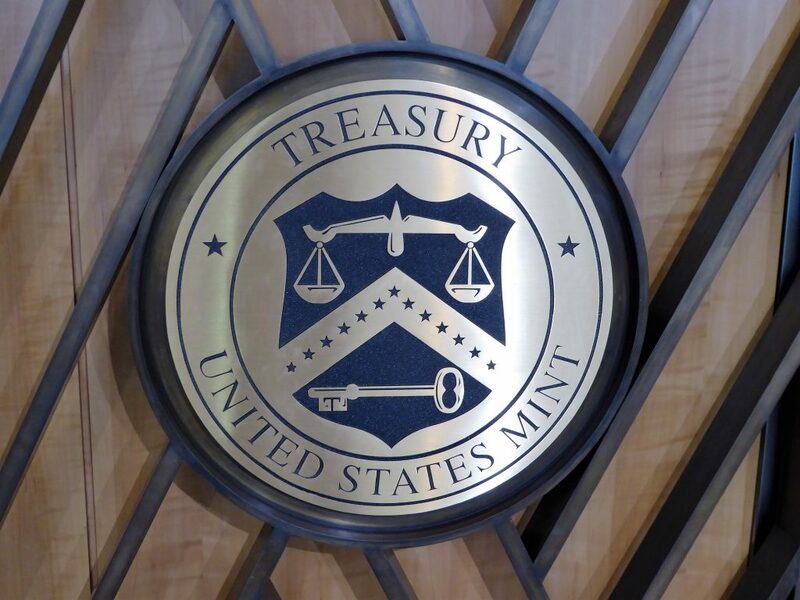 We did go through the Mint in Washington DC several years ago and found it fascinating.